Development in Action | Whatever happened to Band Aid? Whatever happened to Band Aid? As we wrap up 2011 and enjoy the Christmas break, DiA blogger Lynsey Logan reflects on the Band Aid movement which fewer people talk about each year. Lynsey, a primary school teacher by day, is the founder of Schools in Motion, aimed at developing access to education for forgotten communities in sub-Saharan Africa. Many a familiar, unconscious sing-along song can be heard on the radio at this time of year, but very few Christmas records have brought quite as much attention as ‘Do They Know It’s Christmas?’, the Band Aid charity record. Michael Buerk’s reporting from Ethiopia in 1984 is said to have inspired Geldof to launch his Band Aid and Live Aid charity projects on behalf of famine-stricken Ethiopians. The nation was enduring one of the worst famines in decades with aid workers on the ground feeling powerless to help. Recorded for free, in 24 hours, from start-to-finish, the record was the brain-child of Bob Geldof and Midge Ure. With a host of the most successful British and Irish pop music performers of the time appearing in the song, “Do They Know It’s Christmas?” swiftly hit the top of the Christmas charts and raised around £8m. The Band Aid trust then organised the Live Aid concerts in July 1985—held at Wembley stadium in London, the JFK stadium in the US and several other international venues. It is estimated that £150m was raised in total from the concerts. The world was suddenly conscious of what was happening in Ethiopia. 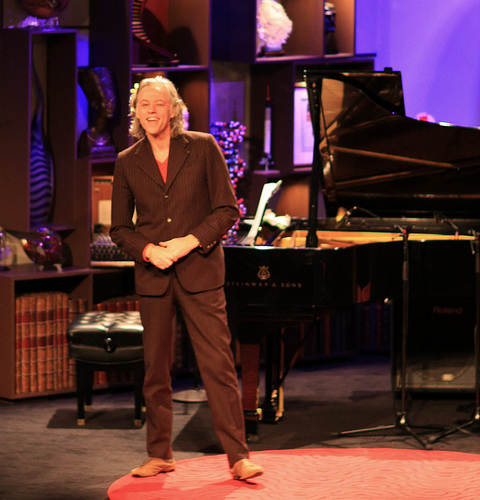 Instead of sitting back and ignoring the images of starving people on the television, they stood up – ready to help, encouraged and inspired by Geldof’s desire and determination to make a difference. The sheer sum of money raised is testament to the success of the campaign and charity single. Most recently a broadcast on the BBC World Service reported claims that 95 per cent of the 100 million US dollars in aid which went to the province of Tigray in 1985 was used by rebel forces to buy weapons. These claims were vehemently denied by Geldof and the Band Aid Trust, and aid agencies within the region universally condemned the reporting. However, the damage caused by these claims will likely remain within the global consciousness, possibly effecting further fund-raising by the Trust. 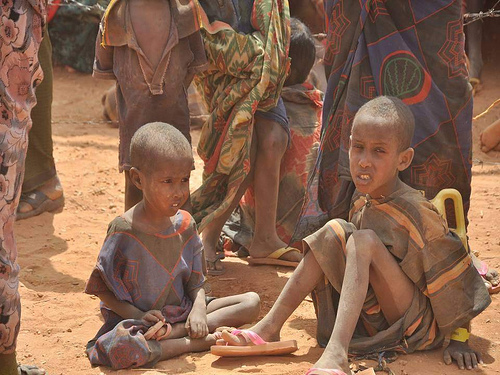 Joanna Macrae of the Overseas Development Institute claims that, “Ethiopia would not have got the attention it did without Live Aid.” The fact remains, however, that Ethiopia is still one of Africa’s poorest countries, enduring another crippling famine that grips the Horn Of Africa. Did Live Aid and Band Aid make any real sustainable difference? Or is Sub-Saharan Africa still in the same position as it ever was? This Christmas season, when you hear ‘Do They Know It’s Christmas?’, with its uplifting finale of ‘Feed the World’ be reminded of those who stood up to make a difference, remembering there’s still a huge amount to be done.